Just around the corner the 35th Vancouver International Wine Festival begins on Monday, February 25. Running through to Sunday, March 3. An absolute must for the wine enthusiast. Neophytes and connoisseurs alike can partake of any number of events being held around the city and at the Vancouver Convention Centre West and East. Seven days of wines and culinary experiences to delight the senses. Opening evening of the Festival premieres four Winery Dinners including first time venue Oru Restaurant at the Fairmont Pacific Rim Hotel. Look for favourite returning Winery Dinners, Minglers, and Grazers throughout the week at Brix Restaurant, Cioppino’s Mediterranean Grill, The Boathouse at Kit’s Beach, Hawksworth Restaurant, West Restaurant, CinCin Ristorante, and Edible Canada at the Market. Ever popular Grazing lunches and afternoon minglers returning this year are: Aussie Barbie at the Vancouver Rowing Club; B.C. Paired at Provence Marinaside; Dine Italia at La Terrazza; Raise a Glass for Argentina in new venue Lift Bar Grill; and returning venue, new in 2012, A Chardonnay Kitchen Party at the Miele Showroom. Ode to this year’s region, California, enjoy the Savour California Flavour at VCC West. Finishing off the Winery Dinners and closing the Festival are Gaga for Bottega at Siena Trattoria, Pure Delight! Mission Hill & Brix at Brix Restaurant & Wine Bar, and Signorello at Blue Water Café. Always popular and sold out are the Sunday brunch events. The Vintner’s Brunch where you will find some old favourites and a number of new participating restaurants, caterers, and culinary students providing delectable entrees paired with wines from the Festival. My personal fave is Joe Fortes who never disappoint with their pairings. Missing this year will be Monk McQueen’s which is now closed and rumoured to have been sold to Lift. Hopefully the sought after oyster bar will be picked up by a new establishment. A slightly more sedate wrap up brunch Flavours of the Festival at the Fairmont Waterfront, this one is equally popular with Festival guests. If you haven’t been before both brunches are highly recommended. Bacchanalia Gala Dinner & Auction is in a category all by itself. The main fund raiser of the Festival and one of Vancouver’s most successful events. Always a sellout with good reason. The basics of the Festival for the few out there who are unfamiliar are as follows: each year a different Regional Theme – 2013 California with the Global Focus Chardonnay. This could be a bit of a challenge with so many wine drinkers falling into the ABC category (anything but Chardonnay) but the Festival has that covered. All About Chardonnay the Thursday, February 28 wine seminar is determined to change your mind about Chardonnay. Already convinced? For the well heeled wine aficionado I suggest Signorello Padrone Vertical wine seminar at Blue Water Café and/or Ridge Revealed a Global Focus Seminar at VCC West both featuring high end wines and excellent value. For something a little different try Meet Your Match a Gismondi wine seminar at VCC West where the “speed dating” concept meets wine tasting. My recommendations for anyone who thinks they can compete with the big guys and experienced sommeliers is the event that is technically “trade” but welcomes all knowledgeable wine connoisseurs Blind Tasting Challenge at the Pacific Institute of Culinary Arts. This is without question the best value of the Festival. Looking to smooze with the wine elite? The Gold Pass Tasting Lounge open Friday and Saturday night includes entry to the International Tasting Room as well as the Lounge for a Food & Wine Grazing event. A bargain considering many high end wines that are tasted by the Trade during the day are available exclusively in the Gold Pass Tasting Lounge. Enjoy! So now we’re down to the most popular and singularly the hottest ticket at the Festival – the International Tasting Room three nights of tasting wines from the International stage. Take note that Thursday fewer tickets are made available making it a little easier to work the room. On the other hand the vibe of the Friday and Saturday nights make for an all out great evening of tasting the very best wines. Tickets $95. As the Regional Theme California wines will take centre stage and you will find all the California wineries at the north end of the Tasting Room. Just look for the replica Golden Gate Bridge! Putting on my “Debbie downer” hat please, please, please remember a few basic rules when attending any and all of these events: forget the perfumes, colognes, after shave, and scented deodorants. For many of the wine seminars you will also be asked to drink your coffee somewhere other than near or definitely inside the venue. A little etiquette is in order: you will receive one glass, that’s all you need, don’t grab for a second glass because that’s rude and not necessary. 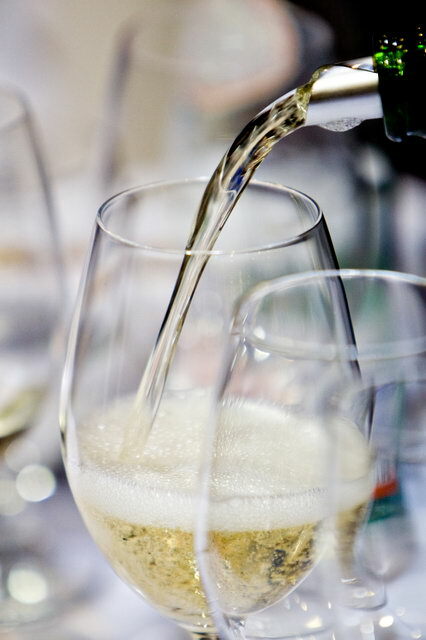 If you’re worried about mixing whites and reds, don’t be, plan to either enjoy two nights (one white night, one red night) or taste (sip) your whites first. If you don’t like a wine just quietly empty your glass in the bucket provided (one on every table) and by the way DO NOT pour the contents of your wineglass into the bucket held by a volunteer – it splashes! Use only a stationery bucket. Take the time to acquaint yourself with the winery (each booth has a sign with the name of the winery) it helps if you know which wine(s) you would like to taste and saves time. The Festival provides a printed guide which will facilitate your tasting experience. Take your turn and once you have received your pour of wine, step back and allow others an opportunity to approach the table. Whether you attend only one function or you splurge for a VIP Gold Pass to take in all the Festival has to offer “sip” responsibly and courteously. A coat check is available for your convenience and transit passes are free making it easy to plan for your ride home at the end of the evening. The Vancouver International Wine Festival supports Bard on the Beach Theatre Society and runs on volunteer benevolence. If you love wine, know wine, are getting to know wine, or a first time attendee you are about to experience the best Wine Festival in North America. If you don’t believe me just try Googling “top rated wine festivals”. Number one for a reason.